Patrice Salmeri, director of Augsburg College’s StepUP program, was featured in Recovery Campus magazine to discuss her role as incoming president of the Association of Recovery in Higher Education. Salmeri, who has overseen the StepUP program since 2002, began her tenure as president of ARHE in June 2014. Taking on the new role while continuing as director of StepUP has her exactly where she wants to be in life. 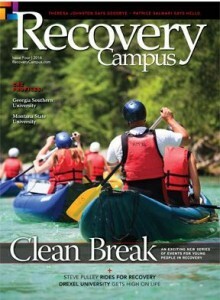 Read Salmeri’s story on the Recovery Campus website.